F. Scott Fitzgerald’s much-quoted crack about there being “no second acts in American lives” is often misinterpreted to mean that there are no second chances, no comebacks in American lives. In fact, he was thinking of the structure of the traditional “well-made” three-act play, where the second act represents a period of plot development in between the dramatic opening and the tragic or comic conclusion. American lives, he was implying, have no period of maturity. 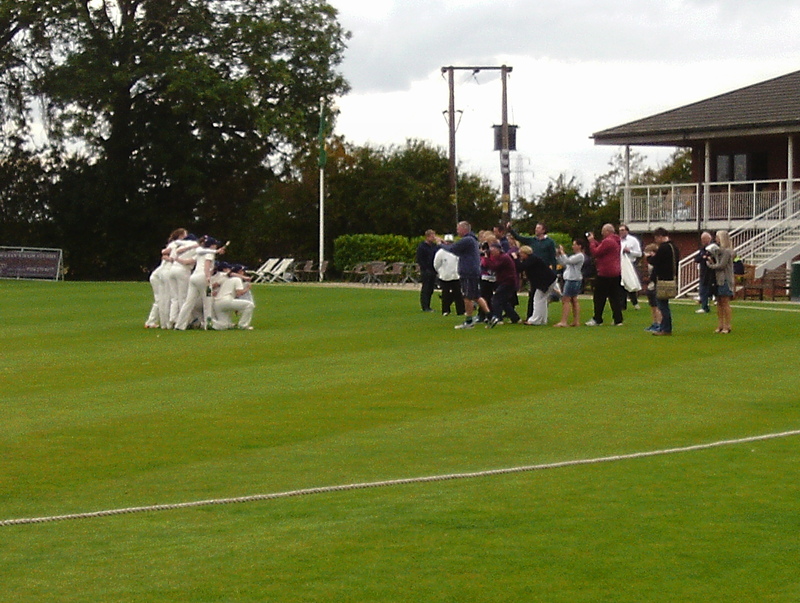 This season’s County Championship has been a little like that, at least from my vantage point. There was a first act (two home games in April) and a final act (or, as the Greeks say, catastrophe) with two games in September, but not much of any substance in between. This year there wasn’t even much of a catastrophe to speak of. 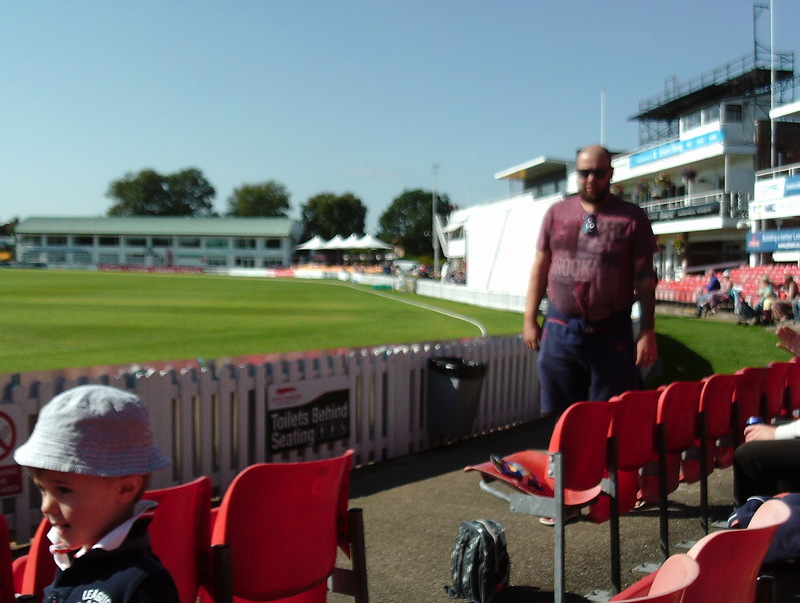 At Grace Road in September I saw the first day against Gloucestershire, when only 43 overs were bowled, and what would have been the second day against Essex, had it not been entirely rained off. There was an element of bad luck about this, of course. If I had chosen different days I might have seen some tight (if artificially engineered) finishes, or Zakk Chappell making 96 on his debut, but if half the home Championship games are played in April and September the chances of choosing the wrong days are high. This season I have taken at least as much pleasure from watching club cricket as I have the first-class game. One reason for this (there are others) is that the structure of the season makes sense – it is comprehensible, it coheres. The County Championship starts too early and ends too late, it stalls for weeks and then shoots forward like a clown car. One day games spring out at you from nowhere and arrive in an unwanted clump on Tuesday afternoons in August, either famine or glut. How the season ought, ideally, to end I’m not sure, but it should mark a definite end and be, in some way, a festive celebration. The County season used to finish, with the serious business of the Championship decided by the end of August, with the carnivalesque seaside festivals at Scarborough, Hastings, Bournemouth, Blackpool and elsewhere. More recently, the final of the Gillette Cup at Lord’s fulfilled a similar function. More by luck than intention I managed, this year, to construct a mini portfolio festival of my own by attending the finals of various competitions being hosted locally – the 2nd XI Championship at Radlett, the Leicestershire County Cup and the Leicestershire U-19s T20 at Grace Road and – the grand finale – the Women’s national club 50-over final at Kibworth. but the main problem, by contrast with the amateur games, was that few of the players can have really wanted to be there. 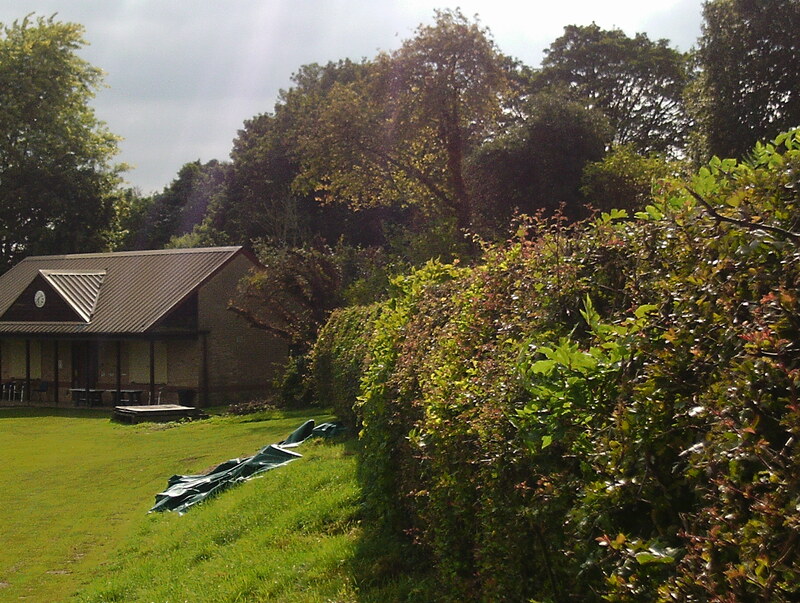 For instance, Nottinghamshire played the three seamers – Luke Fletcher, Andy Carter and Will Gidman – I had seen playing for their First XI in the first game of the season. Gidman must, I think, be wondering – on the principle of “better an old man’s darling than a young man’s fool” whether it might not have been better to stay a king pin at Gloucestershire rather than a spare part at a “big county”. 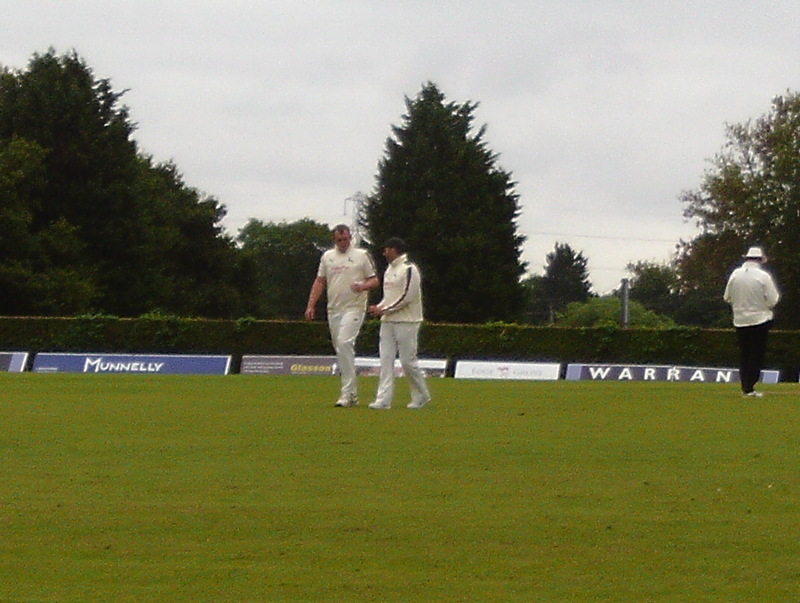 Another who falls into the same category (though he also had injury problems) is Luke Evans, the 6’8″ ex-Durham and Northants bowler who proved the main difference between Kibworth (for whom he now plays) and Lutterworth in the County Cup final. 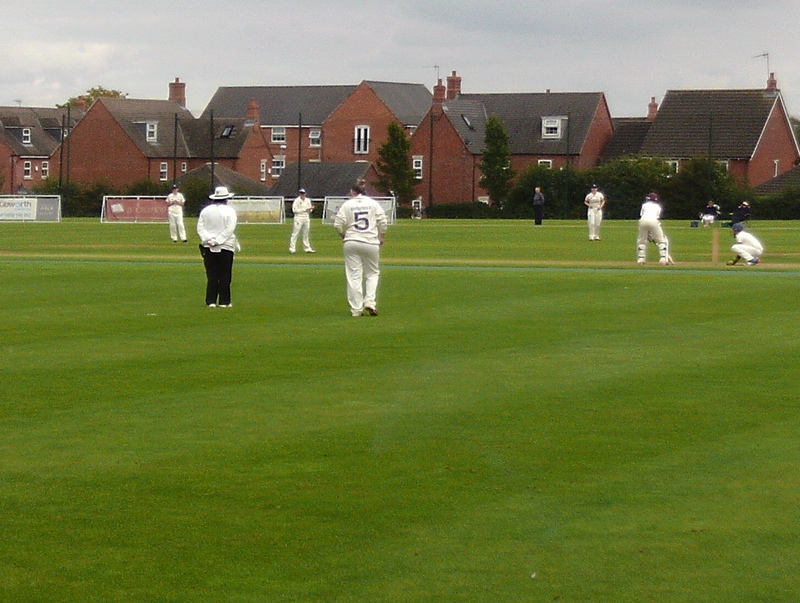 This was a low-scoring affair, as these finals often are: club players struggle to find the boundaries in the prairie vastnesses of Grace Road and the rules of the competition make the clubs’ respective batting stars (Lewis Hill of Lutterworth and Aadil Ali of Kibworth) ineligible. Kibworth won the game (as they also won the League), but it’s fair to say a good time was had by all, particularly the large contingent from Lutterworth, who made up the majority of a crowd as large as some I’ve seen for Leicestershire’s games, composed of all ages and sexes and mostly not the same faces who attend the County games. If the new management are looking to “grow” the club they might find fertile soil here. And so to the finale of my season, a double-header of the Leicestershire U-19s T20 Finals Day at Grace Road and the final of the national Women’s 50-over competition at Kibworth. Both finals were hugely one-sided affairs, dominated by sides batting first and decided by players who were genuinely (a subject I was pondering earlier in the season) “on another level“. 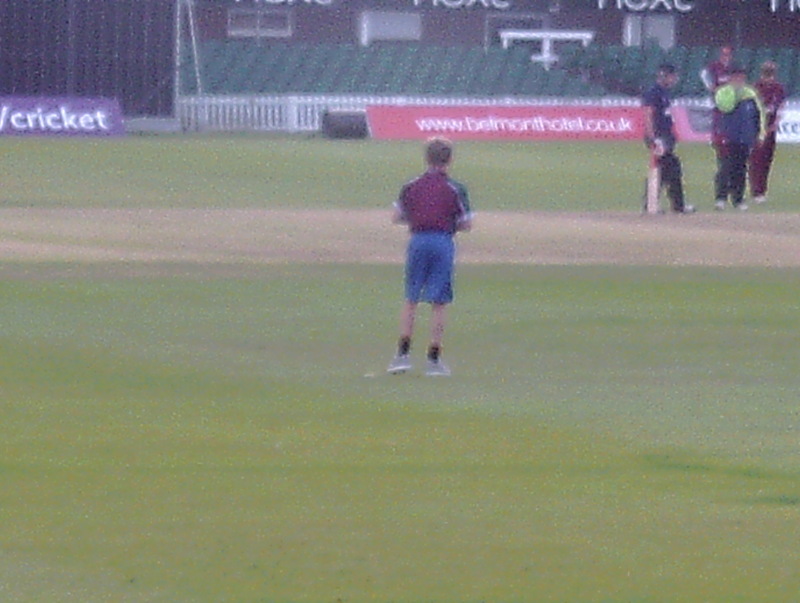 In the case of the U-19s, the player who won the match for the Houghton & Thurnby Hurricanes by a display of six-hitting only equalled at Grace Road this season by Peter Trego, followed by a few overs of 85 mph yorkers in dubious light that reduced the Ashby Strikers to 30-6, seemed not only to belong on a different level, but in a different age group entirely, a fact delicately alluded to by a section of the crowd, who sang (to the tune of ‘Mrs. Brown’s Boys’) “He’s 23 / he’s 23 / he’s not 19 / he’s not 19 / he’s 23”. The last word on this season goes, perhaps unexpectedly, to the ladies of Bath and Stoke. Bath batted first and amassed a huge total, thanks to the England player Anya Shrubsole (who hurt her hand and had to retire early) and Sophie Luff (apparently an England Academician) who batted superbly to score 150 (with, again the difference between the sides, any number of boundaries). with an attractive habit of placing herself in the field by skipping from side to side, with her hands extended horizontally, as though dancing to a rendition of “Nymphs and Shepherds Come Away” only she can hear. 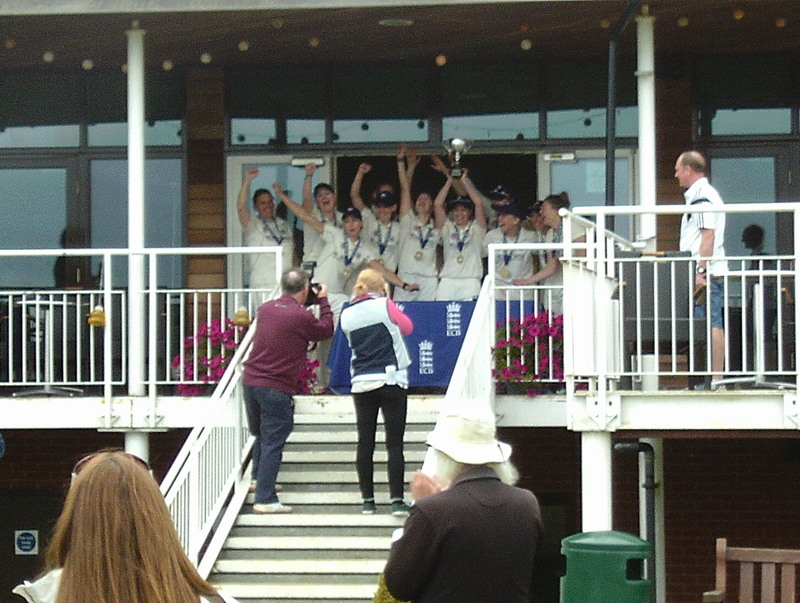 There is a picture in this month’s “Cricketer” of the England women’s team following their defeat in the Ashes, where Shrubsole looks particularly slumped and dejected, quite different from the high-spirited figure she cut at Kibworth. I wonder if she, too, might be wondering if the professional game is quite all it’s cracked up to be? It’s always good to end the season on a note of laughter and celebration, so take it away, the Ladies of Bath! Winter well, one and all. 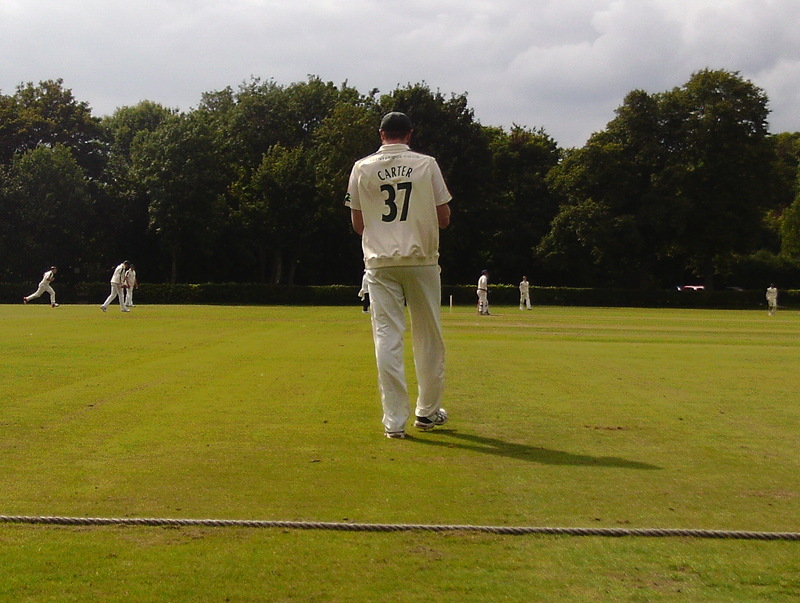 *As a postscript, this turned out to be Carter’s last game for Nottinghamshire. 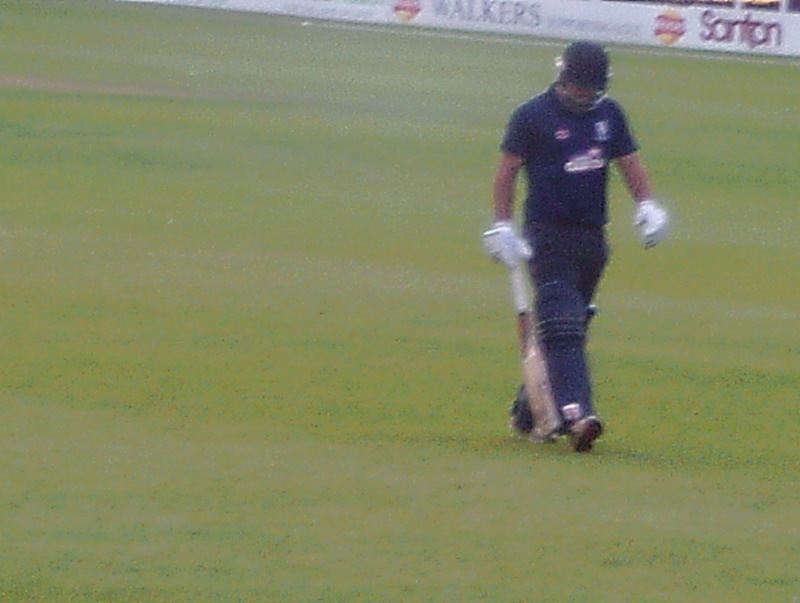 As of next season he will be playing for Derbyshire instead (well, it’s worked well for Footitt).